The November issue is jam packed with exciting content, starting with a round-up of the latest news from the industry. Find out how Animalife is supporting its retail customers, what new ID legislation means for horse owners in England and reflect on the results of the final National Equine Health Survey. Take an in-depth look at Equitheme in our Behind the Brand feature and find out what the equestrian fashion company has in store for the seasons ahead. 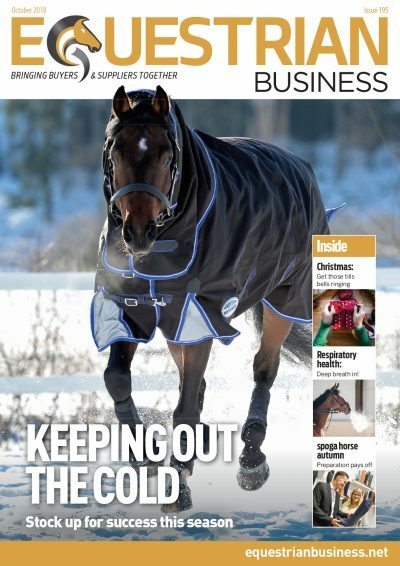 Alongside advice on seasonal yard maintenance, preventing winter ailments and high fibre feeding, as well as help crafting a marketing plan for your retail business, the November issue also includes two brand new features. With exclusive discount codes for Equestrian Business readers, Blueprint to Success is a great starting point for those of you looking to switch up your stock – this month focusing on head to hoof. Your crystal ball for the month ahead, The Month To gives a roundup of what to expect and how to stay one step ahead of your customer’s queries. Last but by no means least, make sure you don’t miss the big reveal on page 16 – Equestrian Influence is set to be the next big thing to hit the industry! In the October issue we have some fabulous content which kicks off with what’s hits the headlines throughout the month. Read about a warning that 50% of all retail traffic could move online by 2044, see what German fashion label has just hit the UK and see the research which illustrates a nutritional shortfall in hay-fed horses. For nearly 20 years, BEDMAX has been promoting the value of using dust-free hygienic equine bedding. Horse owners and retailers are getting the messages, but read our Behind the Brand feature to see why this year the market faces some serious problems. 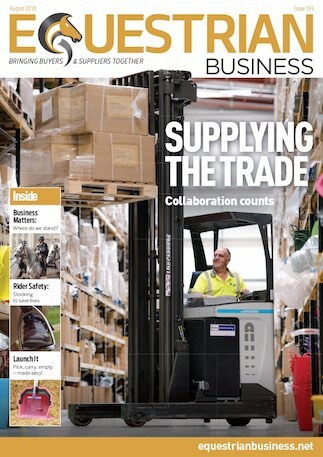 Through this issue you’ll see how Lister is liberating clipping, how good reviews are non-negotiable for your business and how to support the veteran through sound nutrition, not to mention getting products that will get those tills ringing with Christmas sales. From cover to cover there’s something for everyone, so delve in! 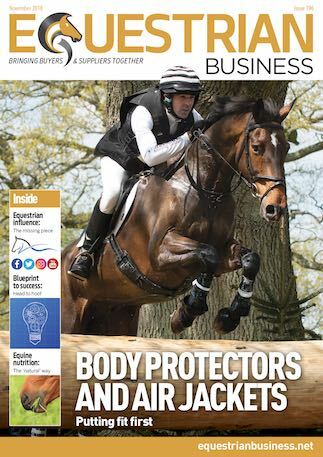 Find out why plastic pollution could be stopping horse riders in their tracks, why vet practices are at a loss and what a £185million deal means for ADM in the September issue of Equestrian Business. Launching boots for all occasions, Dublin is under the spotlight with its new country boot range – with nine styles to choose from, there is a boot for every lifestyle and budget. Get to know world-renowned clipping company Heiniger in Behind the Brand and learn about its comprehensive equine range as well as how it supports trade merchants. 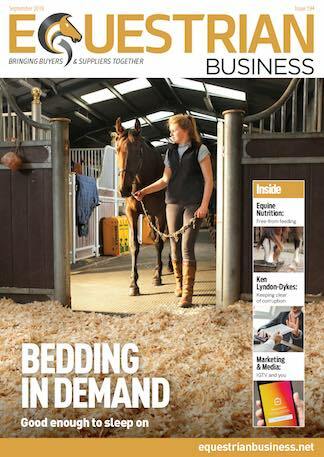 Immerse yourself in the magazine to find out what makes horse owners tick when selecting bedding, how supplements can help protect against wear and tear as well as how to support the needs of horses on free-from diets – not forgetting expert advice on clipping. There is something for all! The August edition is filled with exciting news including a royal visit for Albion England, Trilanco’s embrace of integration and positivity from Nedz regarding the predicted UK bedding shortage. Learn about Rowen Barbary’s continuous innovations through Behind the Brand and find out how Weatherbeeta is going above and beyond to support its retailers. Designed to help horse owners spend more time in the saddle and less time cleaning up after their horses, the innovative Quick Pick takes pride of place in the Launch It. Celebrating the wholesaler and the support networks they enable, we feature prominent wholesalers and distributors to help you find the perfect match for your business. 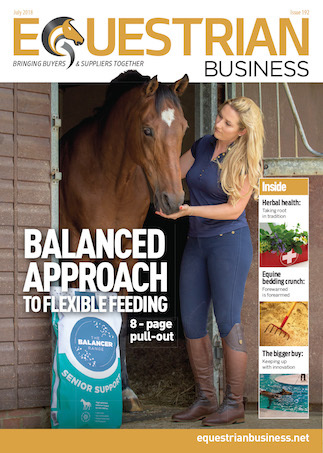 Looking into weight control, worming and stocking to save lives, this issue will keep you on track for successful stocking for the months to come – don’t miss out!